Scitec UCD100 universal USB charging station. 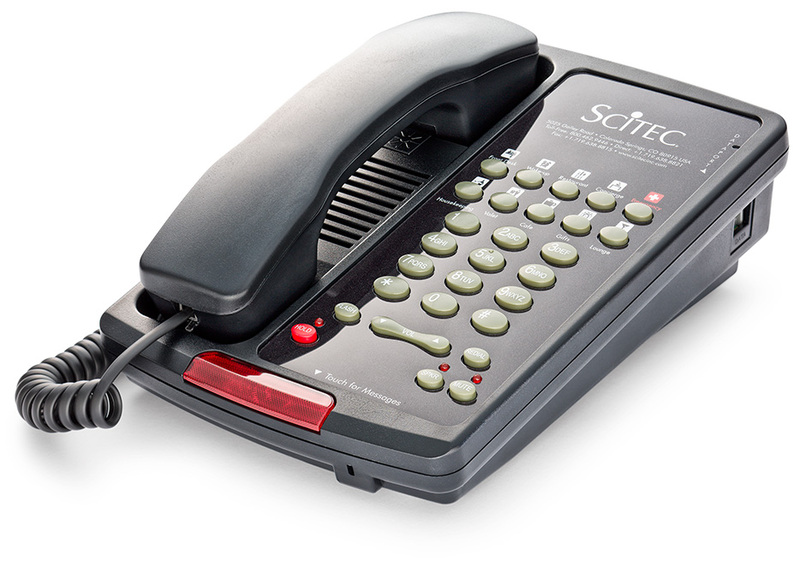 Now upgrade your existing hotel phones with the Scitec universal USB Charging Stations. No need to unplug your room phone, or find a screwdriver or pliers. Simply release the convenient adhesive strip and place the UCD100 charging station beneath your in-service room phone, plug in the wall adapter, and your guests are ready to charge their smart mobile devices via two built-in USB ports...one on either side of the unit. Guests are bringing 4 to 5 smart mobile devices into the guest room. Ensure a positive guest experience, when you add the convenience of USB charging to your Scitec, Teledex, TeleMatrix, or other room phone brand. Scitec UCD100 universal charging station.